Your Power Plane or Mine? Do not pass go. Do not collect $200. Go directly to the power plane. Whether we like it or not, power integrity analysis is now a bigger (and messier) part of our PCB design process. 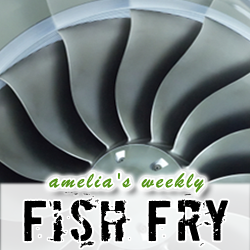 In this week’s Fish Fry, we get down to the bare metal of those pesky power planes with Brad Griffin of Cadence. Also this week, we check out a super cool new 3D printed robot (yes, you want one) and investigate what sets this little cutie apart from other humanoid robots.